Is China bailing out Venezuela? Venezuelan President Nicolas Maduro said on Sunday that China has provided a new loan of $5 billion to Venezuela. 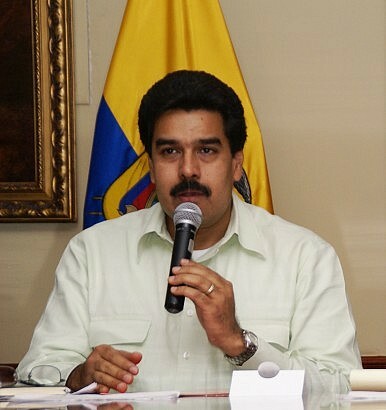 Maduro said the loan would be used to “finance development,” but did not provide details. Venezuela, already in a precarious economic situation, has been hit especially hard by the dramatic drop in oil prices that began last year. Data from Venezuela’s oil minister suggests that Venezuelan oil prices have fallen almost 50 percent since last year – from $97 a barrel in April 2014 to $50 a barrel today. Maduro visited China in January 2015, making no secret of the fact that he hoped to secure a fresh infusion of funding to shore up Venezuela’s struggling economy. Since 2007, China has provided over $50 billion in loans to Venezuela in so-called oil-for-loan deals. That means the loan is repaid in the form of oil and gas shipments from Venezuela to China, ensuring Beijing a steady supply even while Venezuela uses the money to fund necessary projects (or, in this case, perhaps simply to avoid defaulting). So why, then, has Beijing done just the opposite and promised an additional $5 billion to Venezuela? It’s likely that China is attempting to avert a major crisis in a country that has given it a geopolitical foothold in Latin America for decades. Chinese media took particular care to highlight the clashes between Maduro and U.S. President Barack Obama in the weeks leading up to the Summit of the Americas, held in Panama City from April 10-11. A true economic crisis in Venezuela would threaten China’s economic and security interests in Latin America – admittedly, not a crucial region for Chinese foreign policy, but not an area China wants to overlook either. Beijing may be resigned to doing just enough to keep Venezuela’s economy afloat.